Tiny Earth is delighted to announce the winners of our 2018 November Antibiotic Awareness Campaign. We received over 20 submissions from students representing high schools and colleges across the world. We would like to thank all of our student scientists who participated and know that your PSAs made a difference in the fight to curb the antibiotic crisis. Representatives from the CDC, Science Friday, and Merck & Co., Inc. judged all of the submissions on creativity, reach, and overall effectiveness as PSAs. Tiny Earth would like to thank our judges and congratulate the following winners. Michael Craig, Senior Advisor for CDC’s Antibiotic Resistance Coordination and Strategy Unit, leads the coordination of CDC’s $170 million cross-cutting antibiotic resistance portfolio by developing and guiding CDC’s strategic direction to address national goals to combat antibiotic resistance. 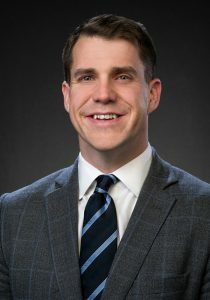 He also works closely with leadership within the U.S. Department of Health and Human Services (HHS) and with the President’s Advisory Committee for Combatting Antibiotic-Resistant Bacteria (PACCARB) to align public health activities related to antibiotic resistance across multiple federal agencies. Dr. Elizabeth Hermsen is the Head of Global Antimicrobial Stewardship at Merck & Co., Inc. and an Adjunct Associate Professor at the University of Nebraska Medical Center, Colleges of Pharmacy and Medicine, in Omaha, Nebraska. Dr. Hermsen received her Doctor of Pharmacy degree from the University of Nebraska Medical Center followed by a pharmacy practice residency at The Nebraska Medical Center, a fellowship in Infectious Diseases Research at the University of Minnesota, College of Pharmacy, and a master’s degree in business administration at the University of Minnesota, Carlson School of Management with an emphasis in healthcare industry. 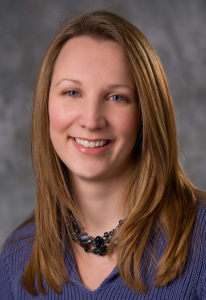 Following her fellowship, Dr. Hermsen developed and co-directed the antimicrobial stewardship program at The Nebraska Medical Center and subsequently joined Cubist, where she created and led the Antimicrobial Stewardship Outreach Group. Now, in her role at Merck, she is responsible for creating and executing a strategy to advance antimicrobial stewardship through education, implementation, research, and advocacy focused on patient outcomes, population health, and the value of care. She has a global scope that includes human health, animal health, and environmental sciences. Ariel Zych is the Education Director at Science Friday, where she develops award-winning science multimedia and education programs to advance science literacy for all audiences. Drawing upon Science Friday’s tradition of engaging interviews with scientists, engineers, mathematicians, artists and authors, Ariel works to create engaging science activities, citizen science challenges, teacher workshops, and multimedia that reach hundreds of thousands of kids, parents, educators, and lifelong learners every year. Before coming to Science Friday, Ariel worked as an educator and scientist all around the country. She’s taught high school biology and marine science in Washington DC, researched acoustic communication in scentless plant bugs, studied the mating habits of periwinkle snails, worked as a zoo and museum educator and has sailed with a deep sea exploration team aboard the E/V Nautilus among other pursuits.